The activist is believed to have been kidnapped on the first day of her campaign. The past few weeks have been particularly tumultuous for transgender women, and now in New Delhi a trans woman is missing, seemingly tied to her political activism. Activist Chandramukhi Muvvala has been missing from her home since November 27 and is believed to have been kidnapped, according to The Wire. Chandramukhi, a candidate of the Bahujan Left Front, a joint front of 28 diverse social organizations hoping to win seats in the Telangana state assembly elections. According to a press release, Chandramukhi’s friends arrived at her home to find her gone. She’d begun her campaign the night before and returned home late. Sources claim she left her home with a group of men the next morning and has not been seen since. The police are said to be looking into CCTV footage to help find her. "She has been unreachable and her mother has been in a state of extreme despair. She is feared to be kidnapped," said a police complaint filed by Chandramukhi's aides, as reported by The Asian Age. Through her work with the Telangana Hijra Intersex Transgender Samithi, Chandramukhi has advocated for better treatment of trans people in Telangana and decided to run in the assembly elections to help her community. 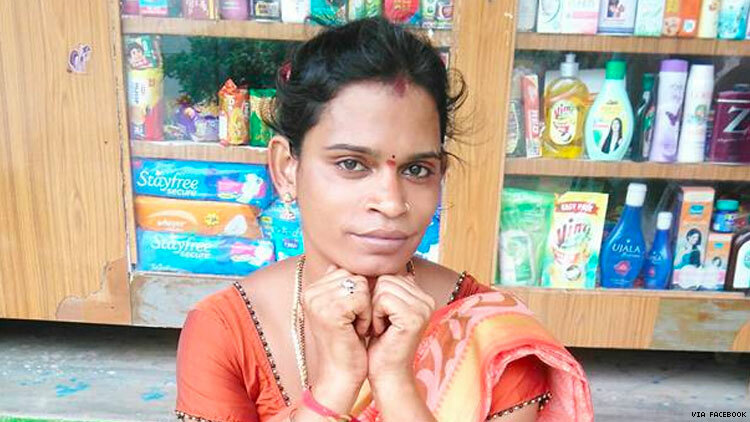 “As an activist with Telangana Hijra Intersex Transgender Samithi, Chandramukhi had strongly protested against atrocities upon members of the transgender and hijra communities, and had always been an outspoken voice at many rallies and public events upholding the self respect of transgender people,” said the organization’s press release. "We fear for her safety and condemn the lack of safety measures organised for her and for other women and transgender candidates," said a supporter. This evident lack of security combined with the danger that trans people face on a daily basis could be a politically-motivated scare tactic to dissuade other transgender people from joining politics, the Samhiti said. Chandramukhi’s presumed kidnapping takes place only a day after the beginning of her campaign and a week before the December 7 Telangana elections.